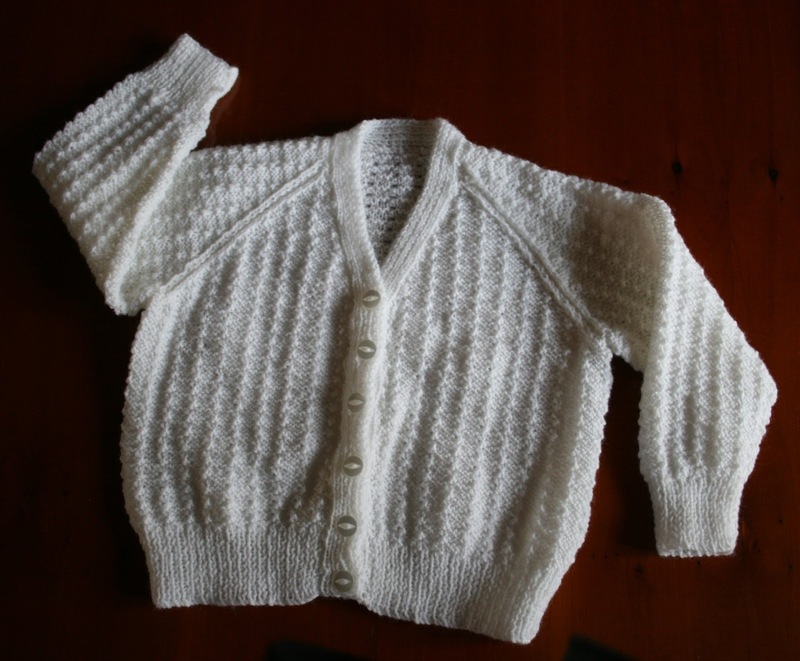 My cousin's son had a baby last year and I knitted a cardigan for that baby, who turned out to be a boy (see Once More with Bootees last March). Now my cousin's daughter is pregnant, so I thought I'd better get knitting a cardigan for this baby too (who, I am told, is a girl). Ah, I have set a precedent. I could think of worse ones! 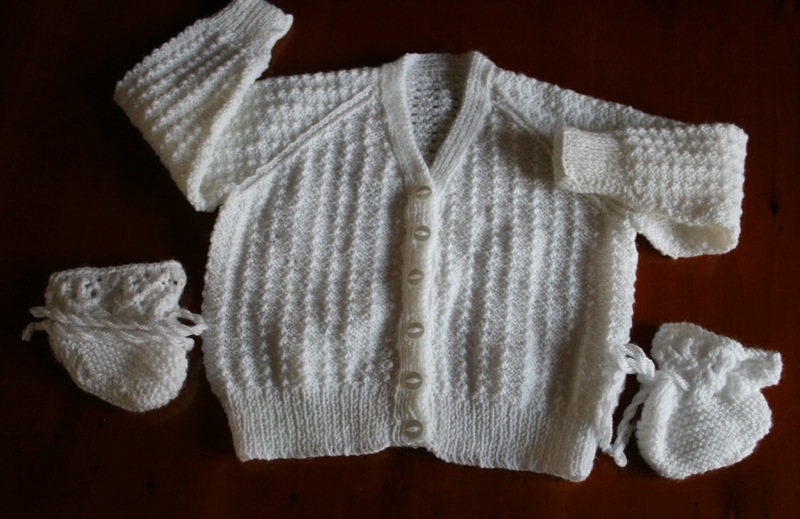 This time I decided to make a second size one, as parents generally get given many first size clothes for their baby, which of course baby grows out of quite quickly. I know I am not original in this thought. One of my aunts gave me some second size clothing for my first baby for the same reason. My Mum knitted some bootees (see second photo) and I packaged the cardigan and bootees and sent them off to Canada a couple of weeks ago.